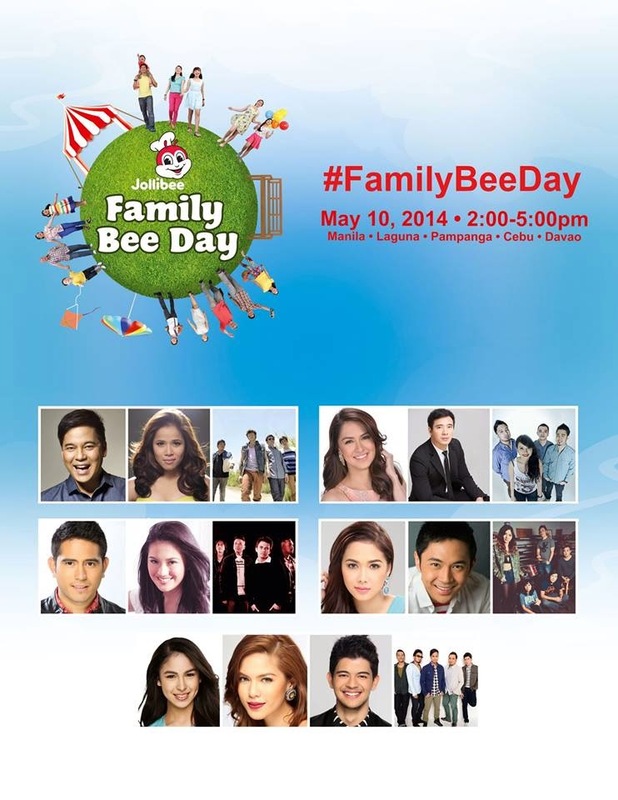 Thousands of families converged in five (5) different locations across the country and enjoyed a fun-filled afternoon during Jollibee’s Family Bee Day, dubbed as the grandest picnic ever, on the afternoon of May 10, 2014. Held simultaneously at the Quirino Grandstand in Metro Manila, Bayanihan Park in Pampanga, Nuvali football grounds in Laguna, Plaza Independencia in Cebu and Crocodile Park in Davao, the event was highlighted by performances from topnotch celebrity guests, live bands, side attractions and overflowing Jollibee treats. “We are very excited to mount an event of this magnitude that celebrates the Filipinos’ love for bonding over good food. We are very happy with the turnout and pleased to see everyone enjoying the company of other people whom they treat like family. Talagang dito sa Jollibee, ang sarap maging pamilya,” said Jollibee Vice-President for Marketing Harvey Ong. Celebrities Carmina Villaroel-Legaspi, Regine Tolentino, and Vince and Patricia Hizon also came with their families to have a picnic. Local stilt walkers and jugglers paraded around the different venues while dance performances from Jollibee and friends, Jollibee Kids Club members and leading dance crews kept the excitement up throughout the afternoon picnic. While the kids had a grand time playing at the inflatable slide and basketball shootout, families also enjoyed posing by the giant picnic basket and special photo frame wall installations to capture the fun moments. Before the day ended, photos from the event already made the rounds on Facebook, Instagram and Twitter sites with the hashtag #FamilyBeeDay. By turning an ordinary summer afternoon into a fun-filled celebration with exciting entertainment from some of the country’s leading celebrities and bands, outdoor fun and games and great-tasting food, the country’s number one family fast-food chain truly enabled thousands of families to celebrate the grandest picnic ever!